As the height of cold and flu season rapidly approaches, college students are at an especially high risk for catching a little more than just a cough or the sniffles this winter. College students are more vulnerable during the cold and flu season due to their constant contact with germs through living in closed environments such as dorms. Even with this information, as found in a study by the National Foundation for Infectious Diseases, only about 46% of college students age 18-24 get their annual flu shot. Aside from over-the-counter medications that can be taken to relieve cold and flu symptoms, here are some little-known alternatives that are handy to keep in the back of your mind in case you fall victim to the dreaded cold and flu season. Vitamin C. Vitamin C is a powerful antioxidant that can help strengthen your body’s immune system. Instead of reaching for the tissues, try reaching for Vitamin C supplements to keep cold and flu symptoms at bay. Stop symptoms in their tracks by increasing your daily Vitamin C intake by drinking more orange juice, or by purchasing Vitamin C tablets, Airborne Orange Vitamin C Gummies, or Emergen-C Vitamin Drink Mix which are available at most grocery stores and pharmacy. Eucalyptus leaves. Eucalyptus is a plant known to help alleviate pain and discomfort associated with upper-respiratory issues. A popular ingredient throughout over-the-counter medications, a more natural alternative use to these medications is hanging a couple of sprigs of Eucalyptus in your shower. Tie these on top of the shower head, so that the plant doesn’t take too much of a beating during your shower, and the steam from the shower combined with the Eucalyptus leaves will help clear up your sinuses and alleviate upper-respiratory discomfort. If you or your roommates aren’t thrilled with the idea of a plant just hanging out in your shower, try a few drops of Eucalyptus essential oil, either by putting a couple of drops in your shower or in an oil diffuser. Eucalyptus leaves can be purchased at supermarkets such as Trader Joe’s or at a florist shop. Starbucks’ Medicine Ball Tea. This tea isn’t your average Starbucks “Secret Menu” item! Originally from the Starbucks “Secret Menu”, this tea has become so popular that it is now recognized at almost all Starbucks, including the Starbucks in the Pryzbyla Center. Traditionally made up of steamed water and lemonade, one bag of Teavana Jade Citrus Mint Tea, Teavana Peach Tranquility Tea, a packet of honey, and a pump of peppermint syrup, this tea is almost guaranteed to help alleviate some cold and flu symptoms in just a few sips! 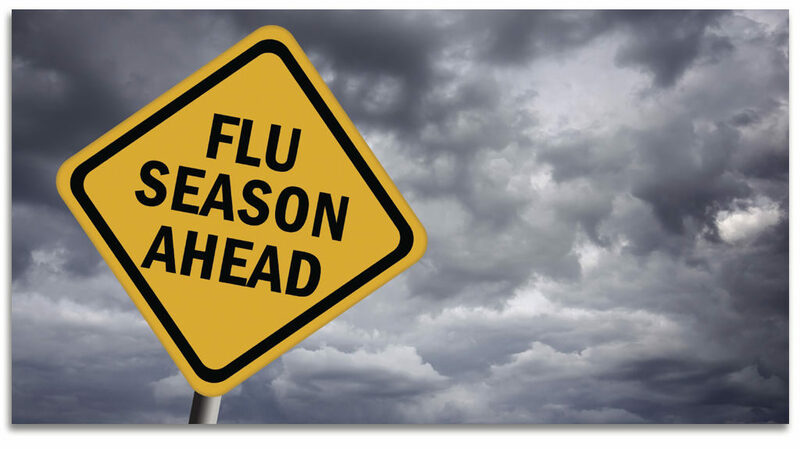 Alongside taking basic precautions to fight the common cold and flu, such as washing your hands and getting your flu vaccination, it’s important to actively keep cold and flu germs away so that you can stay on top of your academic, athletic, and social responsibilities. Keep yourself and your friends safe this cold and flu season so that you don’t miss out on all of the exciting things that Catholic U and D.C. have to offer this winter!